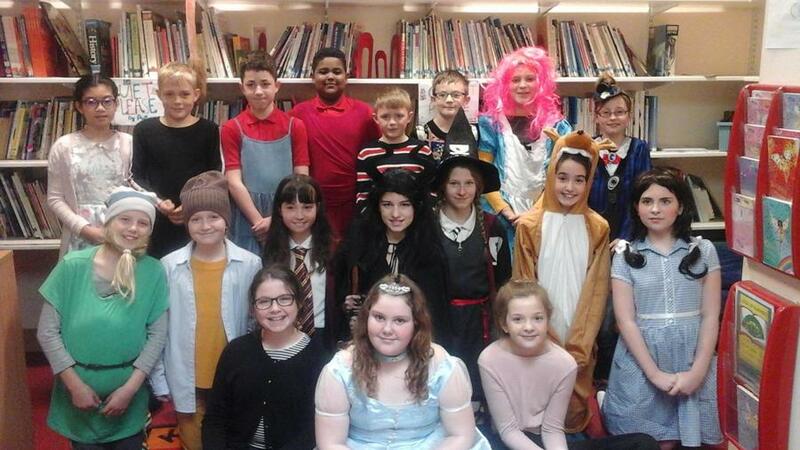 This year's World Book Day was one of the best we have had. The time taken by parents and carers to enable the children to come and join in is really appreciated. In the morning there was a special Assembly during which everyone was give the chance to show off their costumes. The judges had a really, really difficult time deciding on the winners. 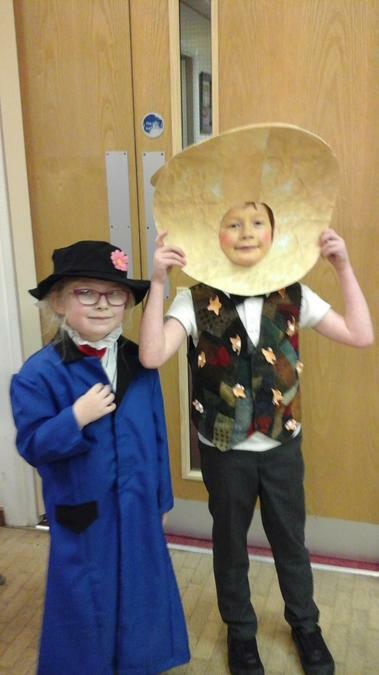 A big congratulations to Elarae who won the KS1 prize in her Mary Poppins costume and to Eli who dressed as Moon Boy from Carolyn Garcia's book. Both Elarae and Eli received a Booker Voucher so they can choose themselves a new book. This year there was a special prize given to Year 6 who exceeded all expectations in the costumes they wore - a special mention to the Year 6 boys who surprised everyone with their "outfits". A big thanks goes to Mrs Ali, Mrs Gibbons and Mrs Edmondson for being the judges. There were story telling opportunities throughout the day, where children could read to each other. All pupils have entered the National Book Token competition and entries for the school-based "Design a Bookmark" competition were worked on ready for judging later in the week. Watch the website for more photographs later this week.